This entry was posted in Chanel, Florals, Fragrances, Perfume Review and tagged 31 Rue Cambon, 31 Rue Cambon perfume review, Chanel, Chanel 31 Rue Cambon review, Chanel Les Exclusifs, Jacques Polge, Jacques Polge perfume, perfume, perfume review by Kafkaesque. Bookmark the permalink. 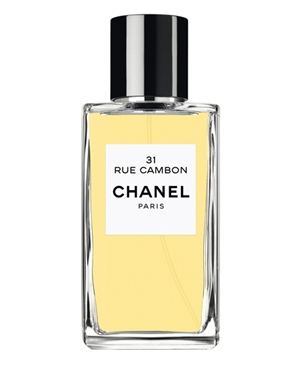 My main “problem” with 31 Rue Cambon (I put problem in quotes because I liked it, but wasn’t bowled over, and more importantly it’s simply not me) was the lipstick smell that I found to be very prominent and dominating. Lipstick isn’t the worst smell by any means, but it’s a bit boring and uninspired to be a dominant theme, IMO. The line has a number of standouts, but this doesn’t compare, and in that regard it falls short. I’m not sure this one is particularly worthy of the “Exclusif” label, but I suppose I can see the appeal of this. Thanks for reviewing it, I enjoyed reading your thoughts though I anticipated this would not be you. The “lipstick” smell is always a result of iris/orris root/orris butter which is what was traditionally used in classic French lipsticks. 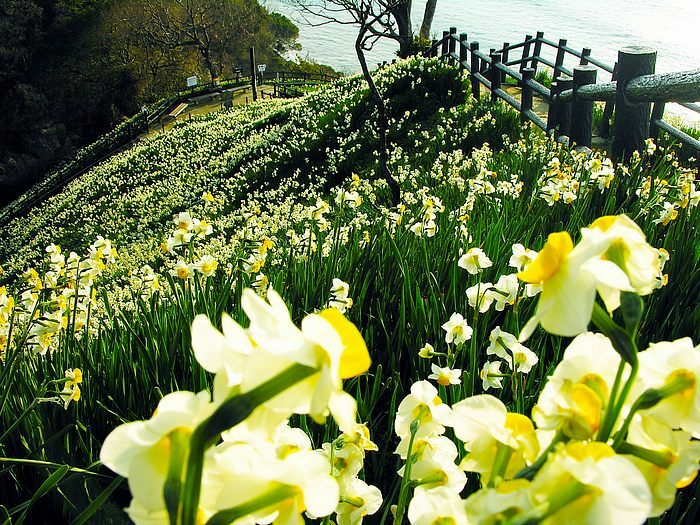 Orris can be not only a source of scent but also, a fixative, so it was frequently used back in the old days. With regard to 31 Rue Cambon, I didn’t get loads and loads of iris on me which is probably why I liked it more than you. As you know, I’m not a huge fan of iris. That said, 31 RC is definitely NOT me. And, obviously, not you, either. But for people who aren’t Orientalists (which is what you are, in large part, though less consistently so than I am) and for people who like light, fizzy, soft, woody floral scents, I’m sure it’s ideal. That’s the hard thing about reviewing, you know. When you come across a scent that you recognise is worthy by standards of people with different tastes but which you yourself find boring due to your own personal preferences. As for the disappearing thing, my God, you experienced it too??! What a relief. I’ve had a particular note vanish only to reappear, but an entire perfume? Vanish COMPLETELY for a full hour at a time? Never! It was the weirdest thing, so I’m glad to know I wasn’t alone with that! Cuir de Russie never did that to me, but I have 28 La Pausa next on my Chanel list of things to review, so thanks for the warning. Ghostly perfumes who decide to come and go….. so disconcerting! Yup, that happened to me. Some of Les Exclusifs seem very, very light on my and few of them disappear and come back and few just disappear for good after 2-3 hours. Unacceptable! Oh lordie, do I relate to that! I didn’t like Cuir de Russie — not one bit. And, after all I heard about it, it was a crushing blow and a massive disappointment. I felt exactly like you did: that there was something deeply wrong with me and that they would take away my perfumista card. In fact, in my review of it, I mentioned disliking Chanel No. 5 as well and saying that I should probably go into the perfume witness protection program for loathing Chanel’s two most legendary scents. My enormous difficulty with Cuir de Russie (pure horse manure under piles of soapy aldehydes) still makes me feel like a total perfume weirdo. With 31 Rue Cambon, I don’t feel that way simply because I knew from ahead of time that it didn’t fit my perfume tastes and that it would never be my cup of tea. These soft, aldehydic florals that Chanel puts out by the gazillions — like 1932 — just aren’t my personality at all. But, that said, 31 Rue Cambon surprised me. A lot. And I attribute it all to the finish with the amber and labdanum. Still would never wear it, but I can see some of its beauty. But “one of the top ten perfumes ever made”?? Pssshawww! Not in my opinion and not by a long shot! *sniff* 28 La Pausa is the next Chanel I have to review, though it won’t be for a while. Given what you said about your reaction to it, I have much greater hopes for it now, though I hear the longevity is (again) an issue. What a relief! Someone else that doesn’t like Russie or No. 5. I thought I was the only one. Although, I was able to find some beauty in Eau Premiere so maybe there’s “hope” for me (?). I’m wearing 31 RC today and just assumed I wouldn’t “get” it either but you know what, I actually like it. I’m going through a bit of a floriental stage right now so that helps. It’s definitely classy but it’s got a good personality too, not too buttoned-up. I’m looking forward to spending more time with this one. As for 31 Rue Cambon, how is the sillage and longevity on your skin, Lila? Don’t tell anyone this, but I don’t care for most of the Chanels. No. 5 and Russie are complete scrubbers but the rest just, well, they bore me. Anyway, for an Exclusif, 31 had some decent sillage and longevity but better longevity. I got about 5 hours out of it, 5 1/2 if I really worked for it, but who wants to snort their arm for 1/2 hour. I didn’t notice that ghost effect that some have mentioned (the scent stayed with me) but the chypre did make an interesting appearance in about hour 4. Very faint and I wondered if I just willed myself into believing it was there since they say it’s a chypre (and we all know how much truth there is in advertising, rme). I think 31 is more of a floriental. I think I’ll wear it again today. I’m glad to hear that it didn’t do a ghostly vanishing act on your skin, even though the longevity wasn’t great. It wasn’t on me, either. Actually, only Chanel’s Coromandel from the Exclusif range really stays on me. And that one really STAYYYYYYYYYYYYYYYYYYYYYYS, even in the heat. I smelled 31 months ago at the Chanel Boutique and don’t remember being impressed by it compared to Coromandel, Sycomore and Cuir de Russie which are my favorites of the Exclusifs line. But now that I have read your wonderful review I want to smell it again with a fresh point of view. I am a Chanel guy and have been all my life. So this house will always be a touchstone for me. But you know I am really getting into Dior, and Guerlain of late. What fun eh? So maybe it is time to pop over to Maiden Lane and have a sniff festival with Chanel. When I tested 31 Rue Cambon I liked it but it disappeared from my skin in 2 hours and never re-appeared. And since it was just a “like” I keep postponing trying it again. 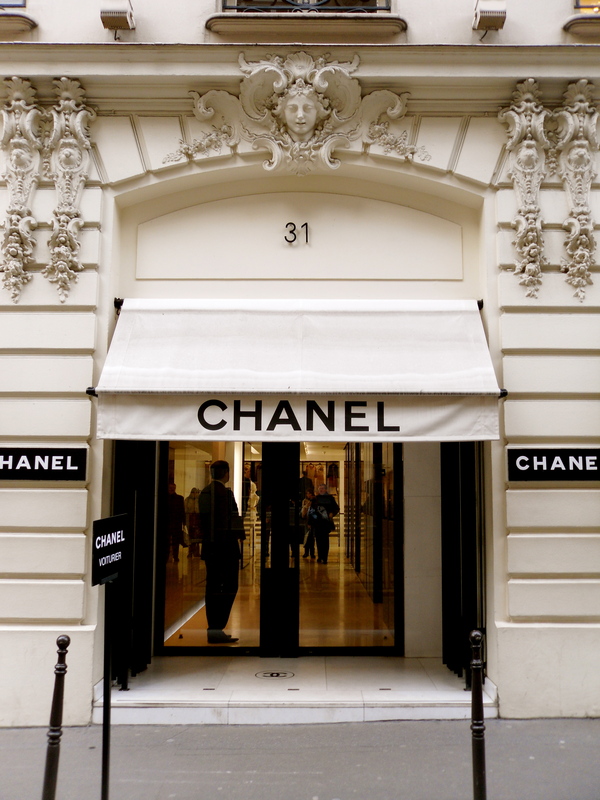 A number of the Exclusifs seem to have serious longevity problems and 31 Rue Cambon is definitely one of them. It’s a shame it never re-appeared for you, since you liked its start. Two hours…… gah! No $130 perfume should last 2 hours! That was exactly what I thought. And I do not have a scent-eating skin! An exhaustive and exacting review that has made me more likely than not to try this fragrance on my own skin, to date I have averred in order to avoid disappointment but you have awoken my curiosity again. I am intrigued by your early discussion on the nature of chypres – indeed we seem to be experiencing the birth of a genres of ‘nouvelles chypres’, bearing the name in their descriptions but not always the compositional elements one would expect. many of these fragrances I’ve found quite diverting, but without the structure of oakmoss as you yourself say, they sit to one side of this noble tradition. One slight potential chink of light. I have read recently that Chanel, hugely perplexed as one can imagine by the impending elimination of moss from the perfumers palette, have developed an analogue that some say is actually rather effective. Of course we will bemoan the passing of the real thing, but I am reminded that so many of my favourite notes in fragrance are not the thing itself at all: the peach of Mitsouko, the vanilla of the Guerlinade and the muguet in everything. I chose therefore to end on a note of hope: and optimist that I am perhaps deludedly pin my wishes on there being an answer to the oakmoss issue and that the days of the great chypres has not quite passed. I’m glad you enjoyed the review. As for the “nouvelles chypres,” I’m highly dubious. It’s not only the potential restructuring of the compositional foundation but also the thought that one can come close to replicating the very unique smell of a chypre without using any oakmoss. It was interesting to hear about Chanel’s new solution, so thank you for sharing that detail. However, I don’t hold high hopes than any synthetic version will be an adequate substitute. Luca Turin has argued that many sandalwood perfumes, to use just one example, really consist of synthetic substitutes. (I can’t find the exact paragraph at this time but I believe it’s called Javanol and is a Givaudan creation.) The scent of Agarwood is also said by many to be predominantly synthetic and another Givaudan creation, due to cost issues. I think most experienced perfumistas can tell when something is synthetic; and few things are perhaps as heinous as synthetic oud fragrances. (Try a Montale, if you don’t believe me.) So, for a note as pungent and complex in nature as real oakmoss to be manipulated via artificial means? Hm. We’ll see. I’m not an optimist by nature, so let’s hope you’re right and I’m not. One word: Gorgeous! I’m wearing it today and its absolutely lovely. Lovely review 😀 I´m glad to find reviews about what is probably my favorite classic French brand. I´m in love with the classic French houses and if you think I love Guerlain (you already know that 😛 ) I have to say I adore Chanel. Half of my makeup collection is made of items with the interlocked “Cs” and also one of my first high end perfumes are from this brand, the famous number 5…That I don´t really like that much (hangs head in shame) but that I brainwash myself to use because it´s Chanel and an icon. I´m really looking forward to finally revisit the Chanel boutique in France and this time to try out some of the more exclusive perfumes of the brand like the oriental Coromandel that I´m sure to love and now also 31 Cambon, simply because it represents such a landmark in the history of Chanel. My favorites are Oriental perfumes, but I´m not very picky and florals, chypres and other kind of fruity or even synthetic scents can make me love them as well. I really can´t wait to try this one, great review once again 😀 . Vicky, my dear, it’s not a crime to dislike Chanel No. 5. I myself can’t *stand* it!!! It’s all because of the aldehydes which make it painfully soapy on my skin. You know my feelings about soapy scents, so I’ve happily and cheerfully accepted that I will never worship at No. 5’s altar. Granted, it’s not a think I tell most people right off the bat since it is a bit like committing heresy 😉 but, believe me, we’re not alone in that! Not at all! As for Chanel, if your favorite genre is orientals then you absolutely need to look up Bois des Iles (also from the Exclusif line). It’s gorgeous! I’m chiming in again about No. 5. Do you know what I get? Wasp spray. I could just dab on some Raid and save myself some serious $$. Eau Premiere does not have that astringency and I was able to enjoy the floral notes more. As for Bois des Iles, it’s probably my favorite of the line although, 31 RC may be vying for that spot. We shall see…. Hahahaha, wasp spray!! Oh lordie, that’s bad. *grin* Do you think it’s because it’s the current formulation, or was it the same with even the vintage? I have a friend who isn’t really into perfume and who recently smelled No. 5 in an airport; she wrote to me to tell me how terrible it was, that it smelled NOTHING like the old No. 5, and how she finally understood what I meant about all the reformulation issues. Of course, I never liked old No. 5 to begin with…. lol. 😉 As for Bois de Iles, isn’t it gorgeous? Have to tried the Extrait? I hear it’s stunning. For me, though, Coromandel is my favorite. I wore it again last night, and I couldn’t stop sniffing myself. Completely intoxicating, imo. Fortunately or unfortunately, depending on how one looks at it, my perfume addiction is relatively new so I haven’t had the chance to experience many pre-reformulated or vintage perfumes. It sounds like I have been spared a lot of grief and disappointment yet missed out on some amazing creations. So in answer to your question, I’m not sure how the vintage Chanel would wear on me although I’m not going to lose sleep wondering. 😉 No. 5 is a Monet for me. Far away (or on someone else) it’s pretty but up close (on me) it’s a hot mess. IF I were going to sink any money into a Chanel it would be Bois de Iles. It’s the perfect sandalwood for me. Other sandalwoods make me feel like I’m in costume; a blond haired, blue eyed, pasty-white girl walking around small town America in a sari. For the money though, I think Lutens Santal Blanc is just as beautiful and has much more longevity (8 hrs. on me) and sillage. Maybe I should try the extrait of BdI. It may stay on the clock longer. Oh, I have not tried Coromandel yet. It’s been compared to Coco and Portrait of a Lady both of which I like. The latter I tested in blazing hot temps and I really want to experience it in cooler weather. I have found that I prefer wearing more masculine scents in cold weather and Coromandel seems like it might fit that category, do you think? I totally agree with you about trying perfume in different temperatures. Une Voix Noir literally turned my stomach when I tried it last winter (I was so excited about a gardenia from Lutens). It was the metallic note. I got blood, not metal and very little gardenia. BUT I tried it just a few weeks ago and the gardenia just came alive like it hadn’t in the colder, drier air. It was a different animal and I didn’t lose my cookies. So, I will try Coromandel and report back. I really like this one. I hesitate to say I love it, because I really don’t. 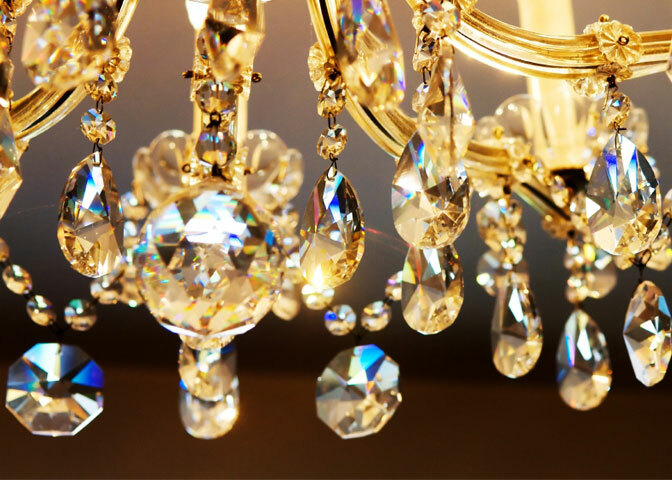 But I like it and it has the advantage of never seeming wrong, plus the added benefit of making me feel richer than I am and confident into the bargain. It’s a Caesar’s Wife sort of fragrance, I think – citrusy AND floral AND mossish AND ambery (lightweight amber, but still). Plus that Chanel iris. I too get the disappear-reappear phenomenon. About the time I’m thinking, “whoa, is this gone?” somebody will say, “wow, you smell really good.” Huh. FWIW, I despise Cuir de Russie to the depths of my being. It smells like our cattle working pens: dust, blood, manure, iodine, rawhide, and fear. Heavens, our issues with Cuir de Russie are our NINTH commonality! We’re doing well, Mals! 😀 Granted, it smells differently on me than what you’re describing, but we still have a general, common impression. On me, Cuir de Russie was mounds and mounds of horse feces, covered by a thick pile of soap. Urgggh. Interesting that you get the ghostly disappear/reappear phenomenom with 31 Rue Cambon as well. It’s really strange, isn’t it?